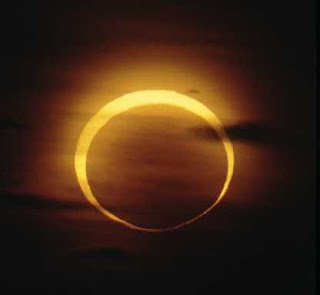 The total solar eclipse however, not the only eclipse appeared this year.The eclipse, lasting three and a half hours, is an annular one, meaning the moon will only partially cover the sun, leaving a ''ring of fire.'' This duration will not be equalled or exceeded until the annular solar eclipse of December 23, 3043, which is 1033 years ahead of 2010! A partial lunar eclipse will occur on June 26 followed by another total solar eclipse on July 11 and a total lunar eclipse on December 21.